For part 3 of my skincare routine breakdown, I’m detailing the masks, spot remedies, and weekly treatments I use regularly. This includes products such as sleeping packs, sheet masks, rinse-off masks, and acid treatments. I’ll be listing some of my favorite “go-to” products for each category, as well as the rationale behind their inclusion. Unlike the products in my morning and evening skincare routines, I don’t have any “baseline” products for these categories. I do have favorites though, and I’ll be marking my favorite for each category with an asterisk (*). A closeup of my skin with no makeup, taken on May 9, 2014. My skin type is dry. I would characterize it as somewhat sensitive, though it’s nowhere near as sensitive as it used to be. A year ago I could barely tolerate any acids (BHA, AHA), and now those are my go-to actives. I am highly prone to hormonal acne, especially along my jawline, and I am also very prone to hyperpigmentation. I get red marks from even the tiniest closed comedones, and without product assistance, they will linger anywhere from 4 to 12 months. Without disclosing my exact age online, I am closer to 40 than I am to 30. I don’t have any issues with wrinkles. I have some fine lines beginning to develop in my eye area. I don’t have any visible sun damage. My goals for my skincare routine, regardless of what products I’m using, are to maximize the overall health of my skin, achieve an even skin tone and texture, and prevent the effects of aging. For my masks and treatments, I look for products that accelerate the healing active acne, moisturize, brighten, or speed up the lightening of any hyperpigmentation spots I might have. I’ve said it before and I’ll say it again: of all the product types introduced to me via the world of Asian skincare, sleeping packs are the product revelation I adore the most. I have naturally dry skin and a limitless love of sleep, so overnight masks are a skincare dream come true. I look for overnight masks that have moisturizing and soothing qualities above all else. My expectations for a high performing sleeping pack is that I will wake up with moisturized, calm skin with no redness or puffiness. Bonus points for any long or short-term brightening effects. I use a sleeping pack at least 3 times a week. I find them especially helpful if I’ve overdone it with an acid or if the air is really dry (I use them up to 5 times a week in the winter). Some people like to use a sleeping pack in lieu of a moisturizing cream, but I personally still use a night cream on nights when I use an overnight mask. I’ll apply the moisturizing cream with the rest of my evening routine, and the sleeping pack just a few minutes before I climb into bed. I like to do some general mindless internetting for about 10 minutes to allow the sleeping pack to fully absorb before my head hits the pillow. Nobody likes a sticky pillow. This is a recent favorite, and is currently the reigning champion over all my other sleeping packs. Using this sleeping pack keeps my skin looking smoother, calmer, softer, and brighter, and it smells exactly like fresh ginger. You can read my full review of it here. Where to Buy: You can find this Sulwhasoo mask on the Neiman Marcus website, where it retails for $50. This cream is also available at W2Beauty for $46. First time W2Beauty customers can get a $5 W2Beauty voucher by entering my sponsor code at sign-up: 025605. I waited an embarrassingly long time to try this sleeping pack. You know how sometimes a TV show will get really popular, and all your friends try to strongarm you into watching it, but the more they pressure you, the more you don’t want to see it? I had a similar experience with the Laneige Water Sleeping Mask. I eventually decided I needed to try it for myself, and you know what? It lived up to the hype. I get it now. This sleeping mask is amazing. Its texture is light and watery, and it provides an immense amount of hydration without feeling greasy or sticky. It smells super fresh, absorbs quickly, and plays nicely with my other skincare products. When I wake up after using this mask, my skin feels smooth, plump, toned, and hydrated. Where to Buy: In the US, you can find the Laneige Water Sleeping Mask at Target, which recently started carrying most of the Laneige line (hooray!). It retails for $23. 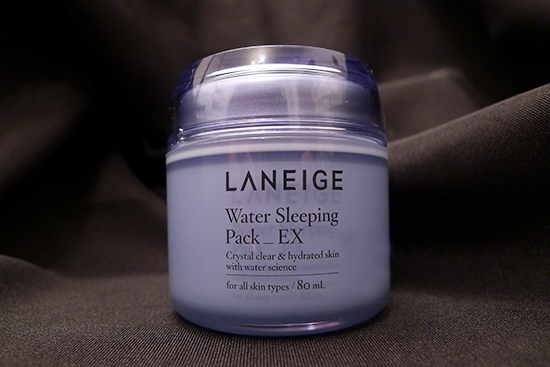 You can also find it on W2Beauty, where it goes by its original Korean name, Laneige Water Sleeping Pack EX. It retails for $33. First time W2Beauty customers can get a $5 W2Beauty voucher by entering my sponsor code at sign-up: 025605. This is the sleeping mask that made me love sleeping masks. It’s a thick, rich cream, most suitable for drier skin types. It makes my skin feel very soft and fully moisturized when I wake up, but with no greasiness. It is strongly fragranced, but I love the way it smells. The scent reminds me of cucumbers and jasmine. You can find my full review of it here. Where to Buy: You can find this Missha Sleeping Mask on eBay from seller RiniShop for $17. You can also find it on W2Beauty, where it retails for $26. First time W2Beauty customers can get a $5 W2Beauty voucher by entering my sponsor code at sign-up: 025605. My interest in sheet masks tends to ebb and flow. Sometimes I’ll do one every day for a month, other times I’ll forego them for weeks on end. I use them a lot more often in the winter or when my skin is irritated or misbehaving. When I use them, I look for sheet masks that are soothing, and help with redness, and add extra moisture to my routine. This is the sheet mask I reach for the most. It’s not as moisturizing as my other favorites, but I love how it calms any facial redness I have, and reduces any inflammation I might be experiencing from active acne. It’s also extremely soothing. 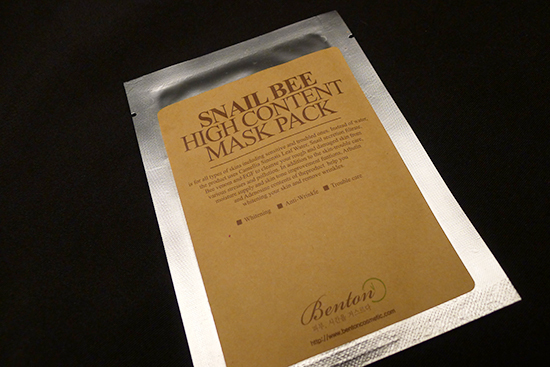 Where to Buy: eBay seller I am Love Shop offers a 10 pack of the Snail Bee High Content Sheet Masks for $17. 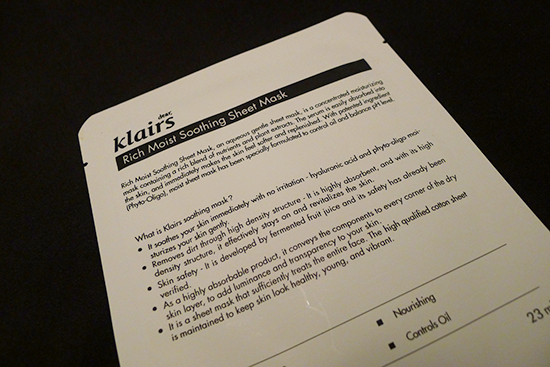 I used the Klair’s Soothing Moisture Mask a lot this past winter. It’s a really soothing, hydrating boost of humectant moisture, and when my skin is parched from the dry air that comes with central heat, this mask plumps it back to life. I also think this mask would work wonders for skin that’s been in the sun all day, though that’s just a hypothesis. I can’t remember the last time I spent all day in the sun. What can I say? I’m an indoor lady. Where to Buy: You can find the Klair’s Soothing Moisture Mask on Wishtrend, which offers it for $2 a mask. You can also buy a 10 pc. pack of these masks from eBay seller trend_wish (Wishtrend’s eBay presence) for $27. In general, you really can’t go wrong with a My Beauty Diary Mask. I have so many MBD favorites, and they change on a whim. I didn’t want My Beauty Diary not to get a mention just because I can’t decide on a favorite, so I’m picking the one I last fell in love with. The Imperial Bird’s Nest Mask is both moisturizing and brightening. I saw some immediate temporary brightening with my first use, but I also experienced some longer term brightening when I went on a 20 day spree with this mask back in November. If you’ve never tried a My Beauty Diary sheet mask, The Imperial Bird’s Nest Mask is a great place to start. 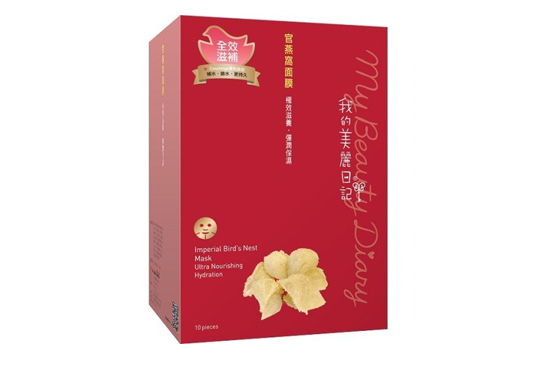 Where to Buy: You can find My Beauty Diary Imperial Bird’s Nest Masks on Amazon for $13. They are available for Prime shipping. I have a weekly ritual for my rinse off masks. I’m generally a night showerer, but I skip it on Friday night specifically so I can wake up and do a face mask on Saturday morning, then shower afterward. Most of the time the sink just doesn’t cut it for a rinse-off mask, and I wind with water all over my bathroom and/or a sink full of clay. If I have the luxury of free time for a face mask two days in a row, I’ll do a different one on Sunday. I am generally more of a chemical exfoliation kind of gal, but I do have a weakness for an amazing sugar scrub. This one in particular is so spectacular that after the first time I used it, I was a little pissed that no one told me about it before. Then I fought the urge to run into a public place with it, like the mall or a major airport, and hold it up to people’s faces as I shook them by the collar and screamed, “MY GOD, HAVE YOU SMELLED THIS? IT SMELLS JUST LIKE STRAWBERRY PRESERVES! IT’S LIKE EXFOLIATING WITH STRAWBERRY PRESERVES!” I was able to restrain myself, and instead I just bought 10 of them and then passed them out to everyone who I thought would enjoy it. I don’t want to be the girl that didn’t tell anybody about this scrub. I use it 2 or 3 times a week, but it’s a struggle. I want to use it every day, but my skin really doesn’t need that much manual exfoliation. 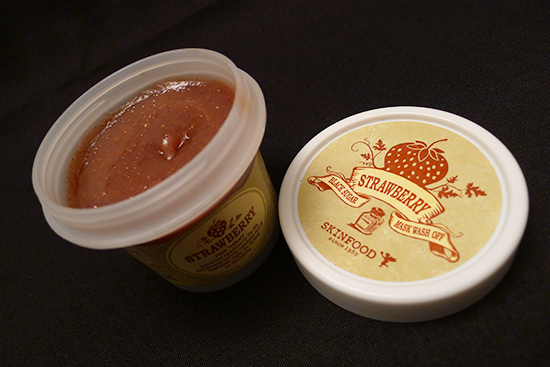 The Strawberry Black Sugar Mask is less abrasive than its cousin, the regular Skinfood Black Sugar Mask. It also smells better – I personally think the original Black Sugar Mask smells a little bit like a dryer fire. To use the Strawberry Black Sugar Mask I apply it to damp, freshly cleansed skin, and spread it around. You’re supposed to leave it on for 10 minutes, and I try to do this as often as I can, but I frequently wind up skipping the wait time and using this product as a regular old facial scrub. The only difference is that it’s less abrasive if I wait 10 minutes. My skin looks amazing either way. Where to Buy: You can find the Skinfood Strawberry Black Sugar Mask on Amazon from seller Package go Fast, where it retails for $10. You can also get it from eBay seller Ruby Ruby Shop for $15. 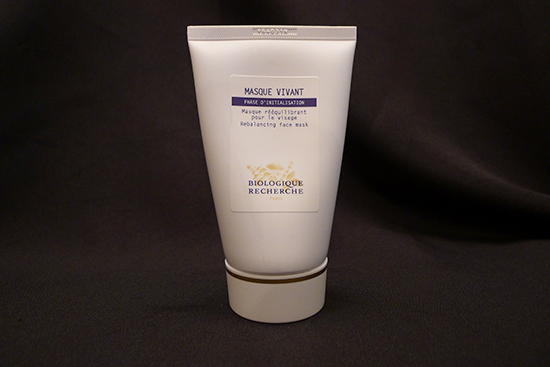 On the opposite end of the smell spectrum, we have Masque Vivant by Biologique Recherche. This mask is a thick, brown, paste made from fermented yeast, and that’s exactly what it smells like. I always see people describe the smell negatively, using words such as “weird,” “stink,” and “strange.” I personally think it smells exactly like Marmite, which I happen to like (with butter on toast points, please), so it actually makes me kind of hungry. It contains lots of B vitamins and amino acids, and I find that it does a wonderful job moisturizing, brightening, and calming my skin. 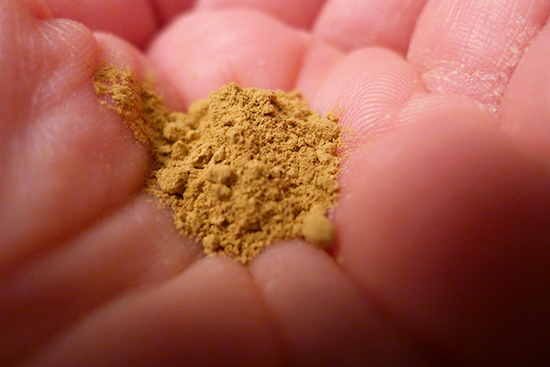 It’s said to be best for combination, oily, or dull skin. My own skin is dry, but I get great results with this mask. It’s a particular favorite of mine around that time of the month, when my hormones get wonky and my skin pays the price. Where to Buy: I get all my Biologique Recherche Products from either Rescue Spa or Vicki Morav. This mask retails for $61. Both retailers have excellent product knowledge, incredibly fast shipping, and send a crazy amount of samples with your order. Vicki Morav also offers a 10% discount for orders of $150 or more with the code Happy2014. A large portion of my rinse-off mask collection is comprised of Shea Terra Organics masks. Shea Terra makes some really amazing ghassool clay masks, which are terrific for active acne. I have nearly every mask that Shea Terra makes, but this one is easily my favorite of the bunch. It contains camel’s milk powder, which contains vitamins as well as lactic acid. This mask has a lovely brightening effect, and it makes me skin feel soft, even, and smooth when I use it. To use it, I mix a little of the powdered mask in a ramekin with a little rose water. I smear it over my face, wait 15-20 minutes for it to dry, then wash it off in the shower. 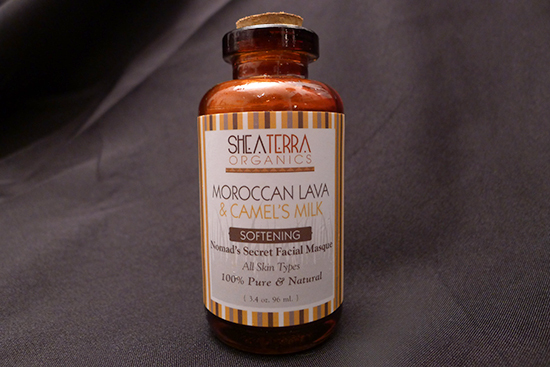 Where to Buy: You can find this mask on the Shea Terra Organics website. It retails for $28, but if you sign up for their newsletter, you’ll get a monthly 30% off coupon code. This month’s 30% off coupon code is June2014. I use a weekly AHA acid treatment in addition to my daily acid toner and BHA. It makes a huge visible difference in my overall skin quality, and accelerates the lightening of any PIH I have at an impressive pace. There’s only one weekly acid treatment I use, and I’m extremely loyal to it. It shouldn’t surprise anyone that it’s the Paula’s Choice 10% AHA Weekly Resurfacing Treatment. I rave about it often because it’s so effective. If I had to pick my top 5 products that changed my skin most dramatically, this would definitely be on that list. To use it, I apply it in the evening for my acid step in lieu of the BHA. Then I wait for 20-25 minutes and continue my skincare routine as usual, minus my BHA and retinoid. I should probably skip my acid toner too, but I usually don’t (I have a fairly high tolerance for acids these days). You can find my full review for this product here. 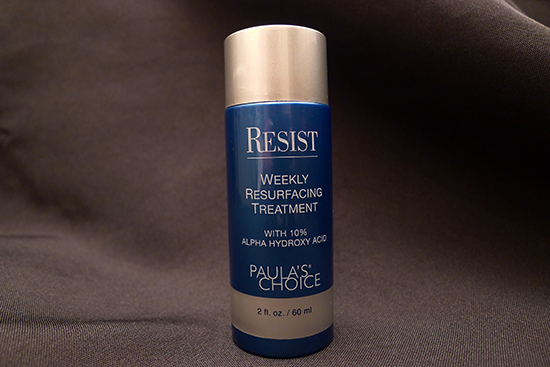 Where to Buy: I get my Resist 10% AHA Weekly Resurfacing Treatment from the Paula’s Choice website, where it retails for $30. New customers can use my referral link to receive $10 off your first order. My spot treatments are all over the place, and the one I choose on a given night depends entirely on what my skin needs at the time. Sometimes I need spot treatments for active acne spots, and other times I want a spot treatment for PIH. I’ve tried a lot of different spot treatments, but only a few have worked well enough for me to keep purchasing them. This stuff is fantastic. It has a higher concentration of BHA than Paula’s other liquid exfoliators, but it’s housed in a sustained release, non-drying, anti-inflammatory formula. I get all the wonderful benefits of a high % BHA product without any of the irritation. If I’m dealing with a standard, run-of-the-mill, non-cystic pimple, 2 night of BHA 9 is usually enough to reduce it to a flat, impotent, nearly empty, spot. I’ve tried it on cystic pimples as well, and though it helped with some of the swelling and redness, the cystic breakouts still healed at their same old excruciatingly slow pace. I still wouldn’t be caught without my BHA 9 though. For regular breakouts, this stuff is magic. 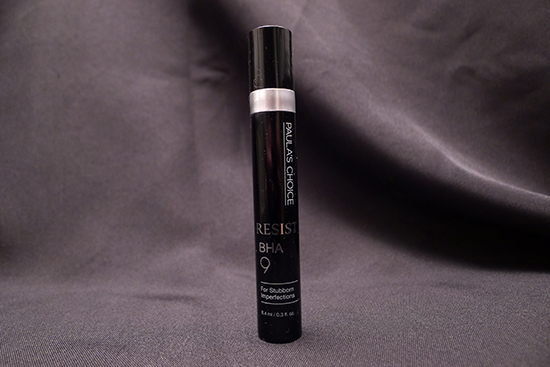 Where to Buy: I get my Resist BHA 9 from the Paula’s Choice website, where it retails for $40. New customers can use my referral link to receive $10 off your first order. I can’t wait to do my full review of this serum – the before & after pictures I have for this stuff is amazing. My second bottle is on its way to me now and it can’t get here fast enough. This Vitamin C based serum lightened some particularly heinous PIH marks on my chin in almost record time. I find that the formula is too strong to use all over my face like a regular serum (possibly because of its alcohol content), but as a spot treatment it’s phenomenal for my PIH. Where to Buy: You can this serum from eBay seller Ruby Ruby Shop for $28. You can also find it on Wishtrend, where it sells for $39. I totally bought the Paula’s Choice Resist 10% AHA treatment after your review, and I’m in looooove. Seriously, my skin looks so much better since I started using it. Thanks for reviewing awesome things. I’m so glad you love it, Rebecca. That AHA treatment is such an amazing product. I’ve been really eyeing the BHA 9 by Paula’s choice! Would you say it suits closed comedone type of breakouts or more regular acne? Ahhhh totally getting the Paula’s Choice 10% AHA treatment in my July haul! I’m already maxed out for my skincare budget this month haha! Omg! I just discovered the Skinfood strawberry scrub this week in NYC now that Urban Outfitters now has a whole section dedicated to Korean beauty & skincare! Oh, curious as to what brand of rose water do you use with your Shea Terra mask? Hi Tiffany! I’m so envious of your in-store access to all those products! Did you happen to pick up the strawberry black sugar mask? I want all of it. Give me all of it!!!! I need all the Paula’s Choice and Biologique. I wish I still lived in Korea because at least Korea had a Paula’s Choice store. BOOOOOO! I’m loving your routine posts!! What are your top 5 products that changed your skin most dramatically anyway? Would love to hear it. Would it be okay to apply a sleeping mask over Retin-a? Would that negate any of the effects? I feel like that would help with the dryness or flaking Retin-a causes. I do it all the time, RJ! It does help a lot with the dryness and flaking. I just make that I’ve waited until at least an hour or more after applying my Tretinoin before using the sleeping mask. Kerry! Your skin looks amazing… and I’m seriously considering curating the strawberry mask wash off! Oh Charlotte, if you started carrying the strawberry mask, I’d be your number 1 customer. It’s torture having to wait so long for these to arrive from Korea! arghh! I want all of these! especially the 10% BHA. I’m waiting for Paula choice to have 20% off sale lol I just spend too much on Missha semi-annual sale so I just have to wait now 🙁 I had the BHA 9 and it does wonder! Thanks for all the recommendation Kerry! The 10% one is actually an AHA. I wouldn’t want to see what a 10% BHA would do to me! 😉 You should definitely pick up the AHA next time there’s a sale. What did you get from the Missha sale? I use Missha’s White Cure Spot Eraser and it’s been about 2-3 weeks now and I don’t think I’ve seen a difference yet. If there’s any improvement it might be too subtle for me to notice. I read in some reviews that ppl see better result when they use both the serum and spot at the same time. I’ll let you know how it turn out for me. If you use code FBSAFESUN14 at checkout, you get 15% off on your order at Paula’s Choice. Hope this helps. oh geez, just seeing this code and just order a bunch of stuff from paula’s choice. Lol that what i did! Just got my backup 2% bha and 10% aha in the mail today! Now i just have to control myself and wait till my skin calm down a bit before i start experiment! @ Ami, hahahaha…oh my poor wallet. Your skincare posts are so fascinating! Even though my skin has become a little more sensitive, I have to read up more about AHA/BHA — I know nothing about it and you keep mentioning these miraculous-sounding products. 😉 I would be very curious to read your review of the Ciracle spot serum. I definitely need something like this for my marks. I used to be very sensitive to AHAs and BHAs, Christine. I love them now – they are some of my favorite skin care actives, but if you’re sensitive and haven’t tried any before, I would recommend picking one acid to start with and going low and slow to see how your skin responds. Low for AHA is ~5% and for BHA ~1%. Thanks for the pointers! I’ll keep these percentages in mind. I LOVE the Paula’s Choice BHA 9!!! I just got it a week ago on a whim while ordering her 2% BHA liquid, and decided to try this one too. After 3 days of use I was in awe. Every almost-pimple (that annoying sore spot and slight lump) just magically vanished, and the existing breakout I was weathering at the time dried up and was gone after 2 days. Last night I was up late reading in bed and I felt another sore spot of a pimple coming on. I hopped out of bed immediately (at 3:30 am) and grabbed the BHA 9 and applied it. This morning I woke up, and the sore spot and lumpiness is already gone. I’ve yet to try anything from Paula’s Choice, but the AHA treatment sounds amazing! Not related, but what do you think of the common claim that face cream “locks in the moisture”? It makes it sound like without it the moisture from the serum and essence and so on will just evaporate. Truth or nonsense? Hi Ida! I can totally see how it could sound like nonsense, but that one is actually true! There are three types of moisturizing agents for the skin: humectants, emollients, and occlusives. Humectants include ingredients such as glycerin or hyaluronic acid, and they hydrate and attract water to the skin. Emollients are ingredients such as oils, and they serve to soften and smooth the skin, and they also have some occlusive properties. Occlusives actually form a film over the skin to prevent trans epidermal water loss – ingredients such as silicones, waxes, fatty alcohols, and petroleum are all occlusive moisturizing agents. Serums and essences tend to be heavy on humectants, so when used on their own, there’s nothing keeping the moisture from escaping. Moisturizing creams contain occlusive ingredients (often in addition to other types of moisturizing agents), so they really do “seal in moisture,” as they say. Hi Kerry! I’m new to your website (and proper skincare in general) and have been slowly reading your posts and trying to absorb all the information. Thanks for creating such an informative and helpful website! I am still a little confused about the whole humectant thing though. I know you mentioned that humectants have to be “sealed” in with an occlusive/emollient. Would any products above have such properties? I’m honestly not sure how to tell based on the ingredient list. Thank you again for all the help you’ve given! Hey Kerry, love the way u understand and take care your skin so much 🙂 i have a question, when u have a bad breakout, do u still use masks and apply your whole skin care routin (cause i think it’s too much and we need to let our skin breathe)? Hi Lily! Great question. I haven’t had a bad breakout in a while, but when I do, I just stick with my baseline products from my morning and evening routines. My baseline products are gentle and bland, and also help with sensitivity and inflammation. I’ll also often use my Paula’s Choice BHA 9 on any active breakouts. They usually resolve themselves pretty quickly now. Hi Kerry! Wonderful post again, thank you so much! Just brought PC BHA 9 treatment so can’t wait for it! Really quick question (related actually two your previous posts actually). I recently redid all my routine to include Benton and PC 2% Liquid for a week and it was going great. Then I brought the P50 (new formula) and started that. I started breaking out like crazy, which the lady at the store told me it will happen (apparently there’s a purge session), so I’m slowly waiting for the breakout to end. I also brought the C booster and antioxidant from PC. Do you think I can start using them in the morning or should I wait a couple of weeks first as well? By the way, I just heard that the sum:y rose stick is being discontinued??? So sad! I heard that too! It’s really bumming me out! Hi Kerry 🙂 I’m interested in korean skincare, but I have perfume allergy.Can you recommend some perfume free korean skincare? Also, if you think you might be interested in Japanese skin care, Hada-Labo products are all fragrance free as well. Thanks 🙂 I’ll look into it. I’ve been highly anticipating your skincare routines posts! They’re always incredibly informative and I want to try almost everything you recommend 🙂 Thank you for sharing all these goodies with us. Hi Kerry, I am thrilled to have found your site… thank you for sharing all your findings and knowledge with the rest of us who simply do not have the time and energy to conduct the extensive research that you have done. So thank you again! I have one question if I may. I am fascinated about your review of Paula’s Choice Weekly Resurfacing Treatment and will go ahead and order it shortly. My question to you – have you used any other of her products like day or night creams, eye creams, serums, etc? If so, would you kindly recommend something? Just a bit about myself – I am 37 years old, with generally good skin, on the dry side though. I do not have acne issues or large pores – my main concerns are skin tightening, brightness, wrinkles around eyes and sad pigmentation on my cheeks 🙁 I do wear daily sun screen but living in Dubai it is basically impossible to hide form the sun. I would love to hear if there is anything you could recommend from Paula’s Choice or I guess from other brands as well if you are not as familiar with Paula’s Choice. Great post Kerry! I Have ordered a bunch of stuff from your evening and weekly skincare post. I am really loving my P50, it really is amazing. Have you tried Innisfree Juju super pore mask? It really works for calming breakouts. Kerry, when do you use a sheet mask in your skincare routine? Thanks! I was wondering where in your steps you use your sheet masks? Hi Lisha! I use my sheet masks after my hydrating toner, but before my serums. I have a question about mixing acids with retinols. I know that in your evening routine you use the tretinoin microsphere. I was just given an RX for retin a micro gel 0.04 and I wasnt sure if I could mix that with Biologique Recherche P50 in the evenings. I dont want to freak out my skin from a lot of acids/exfoliating ingredients at once. I also sometimes use the Peter Thomas Roth AHA/BHA gel on problem areas and wasnt sure if that will interact with the retin a too? My skin tends to be sensitive to products so I dont want to make it worse. Thank you in advance for your help. My personal experience with tretinoin was that I couldn’t use any acids in conjunction with it at first. Sometime around the 7 or 8 month mark I was able to start introducing low % acid products very slowly. I think it would be safest to back off the P50 while you see how your skin does with the tretinoin. Once you start introducing acids again, it might be a good idea to pick up the mild or medium strength P50 instead of the full strength one. Alternatively, you could try the Silk Naturals AHA Toner or the Pixi Glow Tonic when you’re reintroducing acids – they both have higher pH (4.0) than the P50, so they’re less likely to irritate you. Thanks so much Kerry that’s what I assumed too. Better safe than sorry. I’ve been experiencing a few minor breakouts recently after being free from any for quite a while so I’m hoping the retin a helps. When should I use the Ciracle Red Spot Serum in my routine…should I just treat it like a Vit C serum? Do you know the pH? Thanks! I’m eagerly awaiting your review of the Ciracle product you have. Then I bought some while waiting to see if it’ll work on my brown hyperpigmentation that’s on my chin. Paula’s choice c15 didn’t do much as far as lightening these pigmentation but does wonders on my eyes when I wake up after 3 hours of sleep! Your blog is what got me into Korean skincare, which I now LOVE. Just an FYI to others considering Paula’s Choice — there is a stackable code floating around out there for $15 off $75 which is stackable with Kerry’s link. So I got $25 off my order of the new 1% Retinol, 12 weeks worth of the Resist AHA weekly and other sample items. Such a steal! I have a question — Salicylic Acid does not work on my skin at all and it just shrivels everything up without actually clearing my pimples — I look like I get burns from things such as the Benton snail essence (love it but can’t use it) and even Sulwhasoo cream (which I bought based on your review =). Do you know if I can use Benzoyl Peroxide with retinol and AHA treatments? Would love to know your thoughts. What would be the order in which to use PC’s Retinol & AHA daily? I also use Missha FTE, Mizon all-in-one snail, Laneige sleeping pack for extra dry days and Badger’s damascus rose oil. Thanks for your help! Hi Kerry, I had a question about the Ciracle! I just received mine in the mail today from ruby ruby shop and the serum itself is a dark orange/brown color. Is this the color your serum is as well or has it oxidized? The manufactured date says 7/2014. Can I use the laniege after a retinol at night? I love this stuff, it works great and doesn’t break me out or make me greasy. Thanks so much for your the wealth of information you post on this site! You have helped me tremendously in finding a solid routine that has kept my skin looking good. A question I have for you – what are your thoughts on eye cream? I hear conflicting viewpoints, so I’m not sure what to do. My under eye area is getting dry and slightly crepe-y, and regular moisturizing cream doesn’t seem to be doing much. (I’m 38). Would love to get your opinion. wonderful blog . Can I ask your views on Paula Beagons advise that new formulation acids and retinols using them together (eg. Aha then bha then retinol ) shouldn’t effect the pH. I know you mentioned a link from futurederm re: acidity . but both Caroline Harris and Paula says it shouldn’t matter to use retinol and acid’s in same regime. Would you advise to wait..is it what your dermatologist said or its a korean thing. Hi Mary! It really depends on the spot treatment – for my prescription tretinoin, I apply it after my acids but before my other serums. When I was first starting out on tretinoin and my skin was more sensitive, I actually applied the tretinoin last so that my moisturizer and serums would act as a buffer. If I’m using a spot treatment for a pimple – something like a drying powder/serum – I’ll apply it last. For spot lightening treatments, I generally apply those last so that I don’t smear them around when applying other products, but I know many people who will apply them earlier in a routine and still get good results. Many products will actually tell you where in your routine they should go, and for those that don’t – it’s a bit of trial and error but you’ll find the best place for them in your routine with a bit of experimentation! All the sleeping masks/wash-offs are Korean lines that I’ve enjoyed using over the years. I’m also very picky about my skincare (and it doesn’t help that I was born and raised in Korea!). I pretty much enjoy all of Hera, Laneige, Sulwhasoo, and of course…Su:m37. God..I love Su:m37. Why do they have to be so expensive!!! Anyways…love your blog! Hi Kerry! 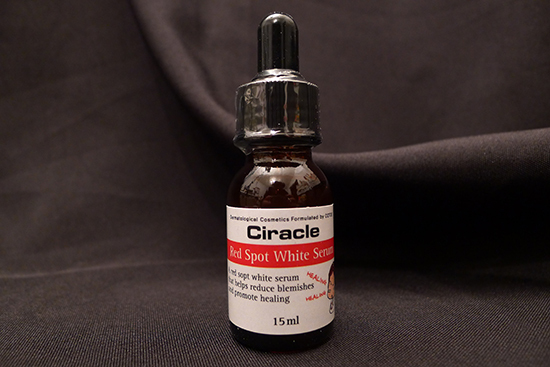 Did you ever got around to doing the review on Ciracle Red Spot White serum? Also, I just got mine and it’s pretty much already orange (oxidized), is it still effective? Hi! Can you recommend the most effective products to help lighten sun spots? I’m obsessed with sleeping masks too! 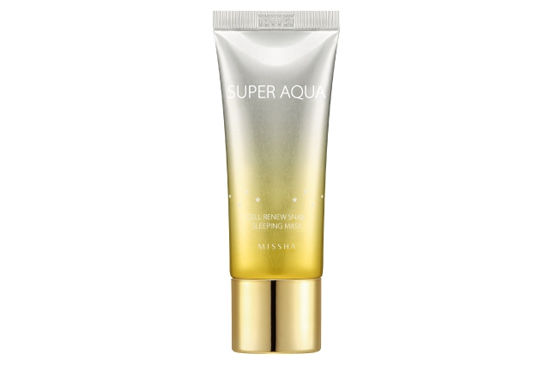 Last product I tried was Tonymoly Banana Sleeping pack but I’m switching to Missha Super Aqua Cell Renew Snail Sleeping Mask, thanks to your amazing product review. I’m so excited haha! Thanks for sharing.